Few days ago LACMA closed its beautiful gallery displaying Islamic art. In an article, the curator of the museum Linda Komaroff has explained what’s going to happen next. The gallery in LACMA will no longer display the Islamic art collection, ok, but it will not remain empty, of course. The curator says that the empty space left behind by the travelling collection will be filled with other objects, in paticular with the “previously unseen contemporary art of the Middle East” the museum acquired in the past years. It may sound like “replacing the old stuff with the new”, but it’s not only like that. We can expect that the other historical artefacts that are not travelling will be displayed sometime in the gallery. That would be great. Also, I think that this swap can make us meditate on the essence of Islamic Art. What is the art we call Islamic? It is my obsession of the month. After reading the article I looked for some of the contemporary masterpieces that will be displayed, while the historical collection is on holiday around South America. The first exhibition that will take place after the collection’s departure is Islamic Art Now: Contemporary Art from the Middle East—Part One (open on 31st Jan, 2015). Some of the artworks that will be displayed are by Shirin Neshat (which I love), Nasser Al Salem, Abbas Kowsari, and Hassan Hajjaj, thus ranging from Iran to Saudi Arabia, to Maghreb. Is it all the same art? And to what extent is it Islamic? Now I am starting to wonder if it is plausible to speak about ‘Islamic art’ in these cases. 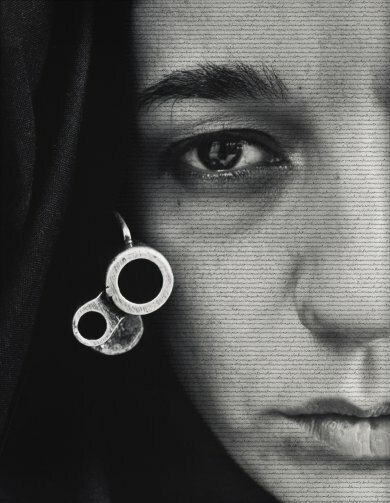 Shirin Neshat photography, for instance, is not that concerned with Islam in a strict sense. Of course she originally comes from Iran, an Islamic country, but she is primarily active in the US. Also, she left Iran before the Islamic Revolution. 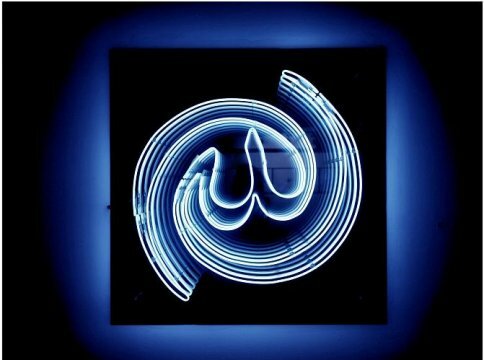 “How do we define contemporary Islamic art today? Is it possible to generalise and package all artists that are born in Islamic countries into one? Like, would it be possible to package and generalise all artists born in Western countries as ‘Christian’ artists? Is it possible to approach an understanding of different Islamic cultures without understanding their political history, their current political systems and the place and relation of Islam with history? Whether in fact [it is] an authentic religion in the country or it is brought by invasion, whether it is a secular Islam or a non-secular Islam. 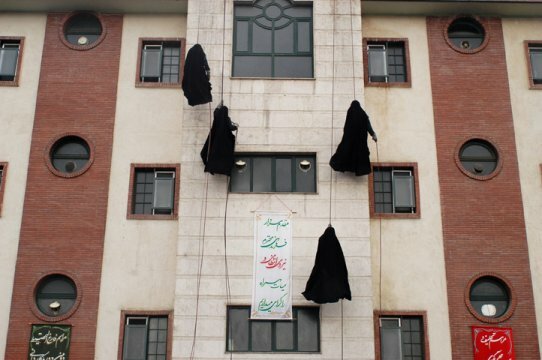 Whether [the contemporary artists living in Islamic world] are dealing only with traditional barriers or […] cultural taboos or in fact they are dealing with sanctions imposed by the government, meaning censorship or absence of freedom of expression. So is it possible for us to speak on the same terms about Iranian artists who are living and working in Iran as it is to speak about Turkish artists, Moroccan artists, Saudi Arabian artists? This is nearly impossible. Generalisation has always affected Islamic art, in every contexts, from museums to Twitter. Also the name of the exhibition that will display the Islamic art collection of the LACMA in Santiago (Chile) from January 15, 2015 sounds quite general: Earthly and Divine: Islamic Arts of the 7th–19th Centuries from the Los Angeles County Museum of Art. Twelve centuries are a lot.. Yet, as the saying goes, never judge a book by its cover. In a exhibition, it is not the title that tells you how the display will be. 12 centuries are a lot, and the Middle East is big, but the collection comprises about 200 pieces: 200 pieces are not few! Also the contemporary Islamic art exhibition cannot be judge by the general title. What I hope, is that the two exhibitions will deepen the general knowledge on Islamic art and will be taken as a chance to really question what is Islamic art, how it developed and what it can tell us on Islamic cultures.